The following diagrams show routes and training circuit area for flights to and from Nottingham Heliport. Circuits are to be flown at 1000ft on East Midlands airport QNH and pilots are encouraged to ascend and descend from this height as quickly as is safely possible when departing and approaching the site paying particular attention to the location of public rights of way that surround the heliport. 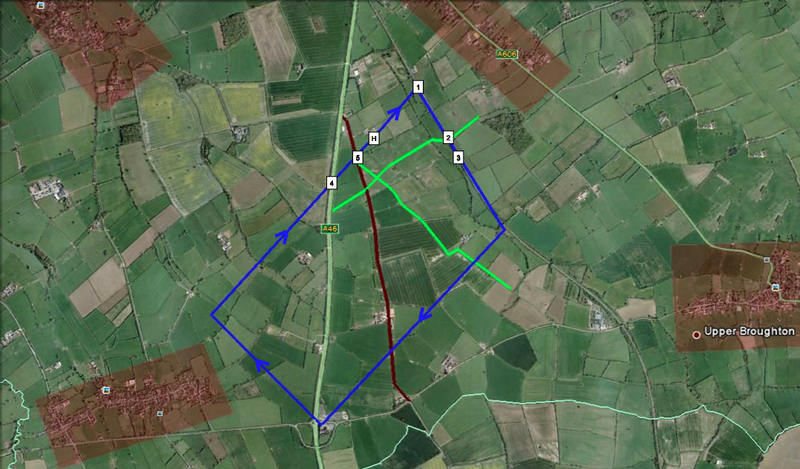 Visiting aircraft approaching the site from any direction are requested to strictly avoid overflying any of the surrounding villages shaded in red on the circuit diagrams before joining the circuit at 1000ft. After departure from the helipad (H) at Nottingham Heliport, aircraft should climb before turning South East following the train line. Pilots should be aware of the bridleway location (2) when climbing up to circuit height. 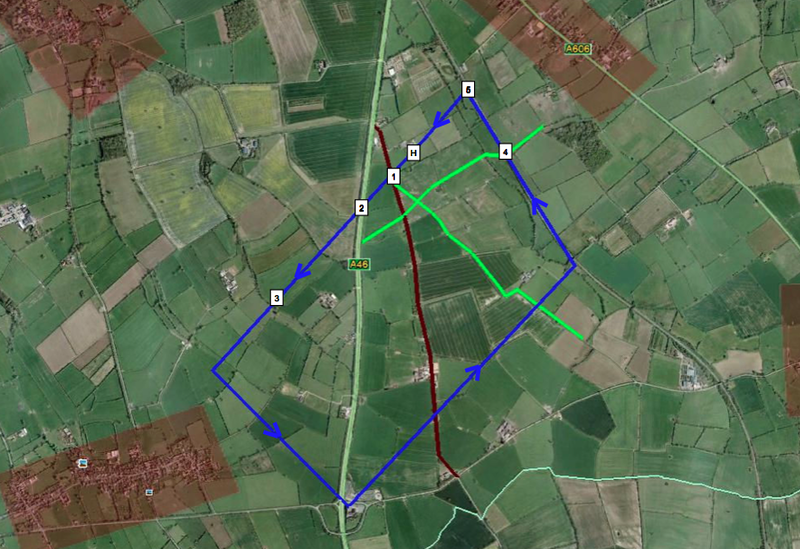 The circuit will continue at 1000ft avoiding overflying any local villages in the area. Once on final approach the helicopter should begin its descent, crossing the A46 (4) and the byway (5) before landing. Pilots are reminded to keep a good lookout on final approach for vehicles, pedestrians and horse riders which may be using the byway and bridleway. Pilots are encouraged to make sure the byway and bridleway closest to the heliport (1) are clear before commencing with a Westerly departure. After take off from the helipad at the Heliport (H), aircraft are advised to climb as steeply as is safely possible to cross the Byway (1) and the A46 (2). The circuit will continue at 1000ft avoiding overflying any local villages in the area. Pilots are advised to keep a lookout for activity on the bridleway (4) before starting their descent and turning onto final approach into the heliport. *Booking will be confirmed via telephone. Stay up to date with news and offers from Nottingham Heliport. We send out, at most, one Newsletter per month and will never pass on or sell your information.